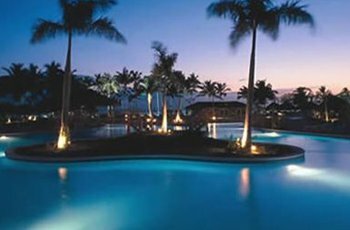 Bahia Principe La Romana Review: Gran Bahia Principe La Romana is a beautiful 5 star resort located in the South of Dominican Republic, between Santo Domingo and La Romana, 45 minutes from Santo Domingo Airport and 35 minutes from La Romana Airport. 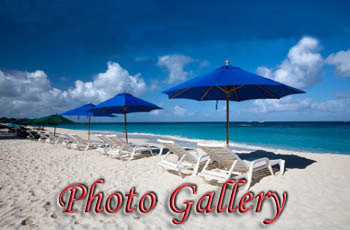 It is not far from some other interesting tourist attractions in Dominican Republic: Altos de Chavón and Saona Island. Enjoy the stunning view of the bay and more than 2 miles of a spectacular golden beach lined up with elegant palm trees. 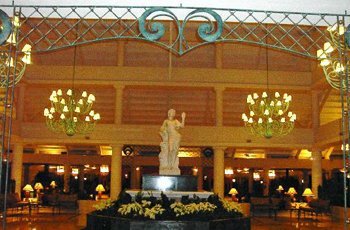 Bahia Principe’s luxurious rooms and amenities will guarantee you a comfortable and exciting stay. More than 400 well appointed rooms, Experience the Dominican traditions at Pueblo Principe, located at the hotel entrance. It is a kind of Caribbean commercial and entertainment centre where you can either enjoy dancing meringue, go shopping or just have a hamburger. It also includes a disco, a casino, shows, live music and a lot more. What makes Gran Bahia Principe La Romana so special is not only the resort’s lush and tropical atmosphere, but also the level of personalized service and attention to detail provided by the staff of the resort. Bahia Principe La Romana Review of Beach: The hotel was renovated in 2007, new facilities were added and it is still in its greatest splendour. Walking along the 2800 m of an excellent private beach, feeling the breeze on your face and the fine sand under your feet, enjoying the beautiful colours of a Caribbean sunset or just one of the many options that Bahia Principe La Romana offers you, we are sure that your La Romana vacation will stay in your memories forever. 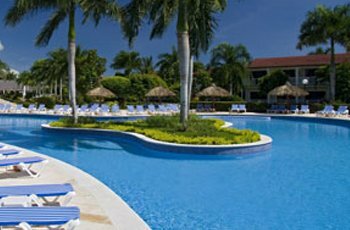 Bahia Principe La Romana Review of Accomodations: 400 comfortable junior suites spread around in 25 intimate two storey villas surrounded by amazing tropical vegetation. Enjoy the beautiful views from the spacious terraces and pamper yourself with the many amenities offered by Bahia Principe la Romana accommodations . 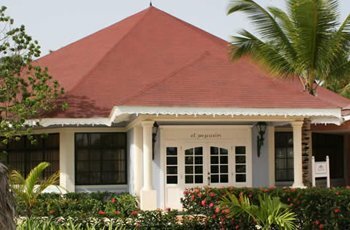 Bahia Principe La Romana Review of Restaurants: Entice your palette at Gran Bahía Príncipe La Romana restaurants with a wide variety of specialty dishes. You can enjoy not only national, but also international cuisine. Try delicious fish or seafood, excellent Italian cuisine or spicy Mexican dishes. At the beach restaurant you can enjoy delicious fish and seafood while admiring an amazing subset, at Mariachi you can try the best of typical Mexican cuisine at the Italian restaurant you can discover sophisticated Italian food and at Tamarindo, try a choice of excellent international cuisine. Gran Bahía Príncipe La Romana, the right place for a romantic wedding and an exciting, relaxing honeymoon. A charming beachfront resort, that faces 2800 meters of a breathtaking white sandy beach, surrounded by hundreds of coconut trees and bathed by clear Caribbean aqua waters, an amazing tropical scenery, where luxury and comfort together with the resort staff’s service combine to guarantee you an unforgettable wedding, renewal of vows or cherished honeymoon will certainly surpass any expectations. With its on-site Chapel, incredibly beautiful backdrops, amazing facilities and amenities, Bahia Principe La Romana Weddings are considered one of the best destinations in Dominican Republic. When you pick Bahia Principe La Romana for your destination wedding all-inclusive-weddings.com takes care of every detail. Consult our wedding packages , there are several unique options available, but if you want a more personalized wedding, we are happy to make of your La Romana Weddings a day worth remembering. Consult our planner for more information.